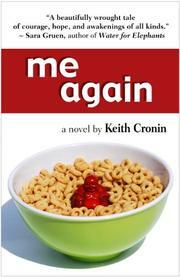 In Cronin’s novel, a man emerges from a coma six years after a massive stroke only to find he’s changed as much as the world has. Jonathan Hooper’s doctors and family call his sudden recovery a miracle, but Jonathan himself isn’t so sure. After six years spent in a coma, he has a long road to actual recovery, and even then it’s unlikely that he’ll ever remember who he used to be. His sole source of comfort is the beautiful Rebecca Chase, a fellow stroke victim who has undergone a dramatic personality shift and, like Jonathan, is confronted with the fact that she may never be the person she once was. But the more Jonathan discovers about his past as an emotionally distant, dishonest businessman, the more he wonders if his amnesia may actually be a blessing. Cronin’s debut is an engaging read, utilizing an affable tone and ample humor to temper subject matter that could easily fall into melodrama. The novel shines when navigating the complex interpersonal relationships Jonathan has been thrown back into, as he gets to know not just the family he’s unable to remember, but also the man he used to be. The conflict in gathering this information comes from one of the most relatable, frustrating aspects of human interaction—the inclination to avoid emotional harm and confrontation at all costs. Cronin displays an impressive understanding of conversational subtext, and, at its best, the novel’s dialogue works on many levels at once without coming across as obtuse. This isn’t always consistent, though, with a lot of repetition (particularly some of the oft-repeated jokes) and transparent exposition making some exchanges feel less refined. Everything ties up a little too neatly at the end, and Jonathan never really faces any repercussions for his pre-coma sins, but it’s the little triumphs along way—Jonathan’s rebirth and personal healing—that feel like the novel’s true resolution. Despite its flaws, Cronin’s novel ultimately avoids the genre’s worst sin—heavy-handedness.